Playa El Tunco, Km 42.5 main street, Playa El Tunco in the municipally of Tamanique, Departement La Libertad. Inside its installations there is a cafeteria, and they also offer surf lessons and rental equipment for surfing during the day, yoga and gym are available for an additional fee, transfers or shuttles from and to the airport are accesible, bus tours or private transportation are easy to get, and you could find day tours that are given in Spanish, English or German. Other hotel in this location:. Located directly on the beach in front of the ocean, it has comfortable rooms with air conditioning or fan, pool and wi-fi access. It's has a private and a quiet atmosphere. destination - Playa el tunco:. 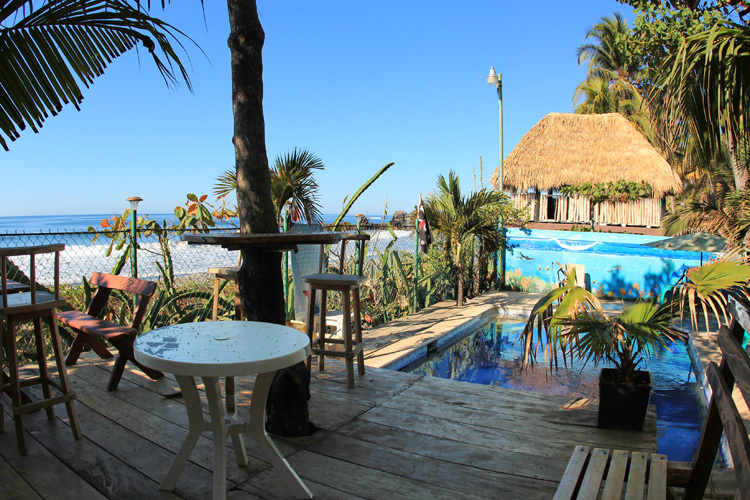 An exclusive resort in Playa El Tunco. The hotel concept has been designed for discerning guests looking for an extra comfort level. Full equipped apartments are available: living room, kitchen, cable TV, air conditioning, sea and river in sight. SURF LESSONS & SURF SCHOOL:. Surfing is the main outdoor sport practiced in the coast of La Libertad, Usulután and San Miguel. So we offer you different surfing programs and options for different surf tours, half day or full day, full day totally recommended because you can easily buy some bread the day before, peanut butter, cheese and jam and get yourself some brunch after the first surf sesh of the day, sooner than later, you'll fell set and ready for another paddle out, and take as many breaks as you want without moving from the front row. Stand up paddle is a relatively new form of water sports, a fun way to exercise your upper body, and practice your balance, either in a mellow river, or inside the ocean getting a closer look to the waves and surfers.